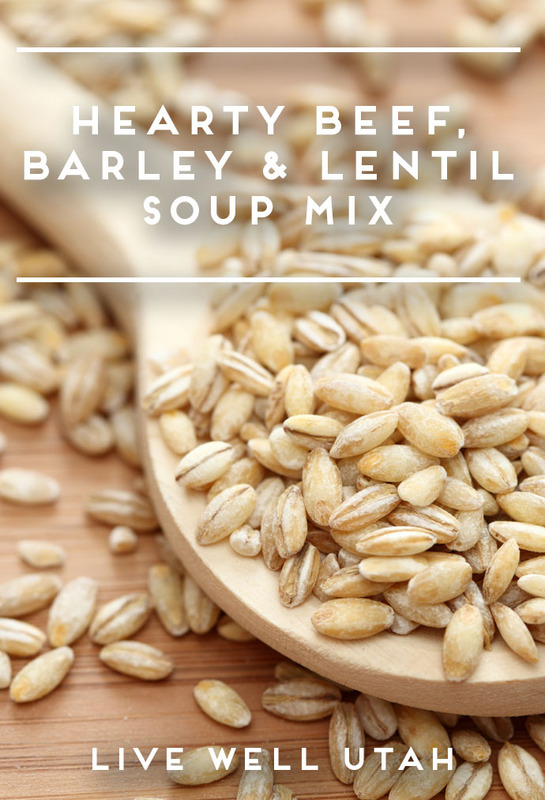 Make a few batches of this soup mix for an easy weeknight dinner. Brown meat in a soup pot. Add water and remaining ingredients. Bring to a boil, then lower heat and simmer for about 45 minutes or until lentils, barley, and vegetables are tender. Dry ingredients can be combined and stored in pint jars or ziplock bags to make dinner easy any night of the week. Add other dried veggies for a more colorful and flavorful mix. My favorite is the red and green bell pepper mix.